Haha this is brilliant. What does my office/workspace look like? That would look a lot like my bed. Because it is. My laptop is precariously balanced on a cushion and must not be moved because my dongle is broken and there’s loose wire somewhere and if you knock it it cuts out. Occasionally if I’m feeling crazy and want to watch TV whilst being on my laptop AT THE SAME TIME I might carry it downstairs, grab a dining room chair and set it up on there and sit on the sofa at the same time. I’m like your very poor relation. 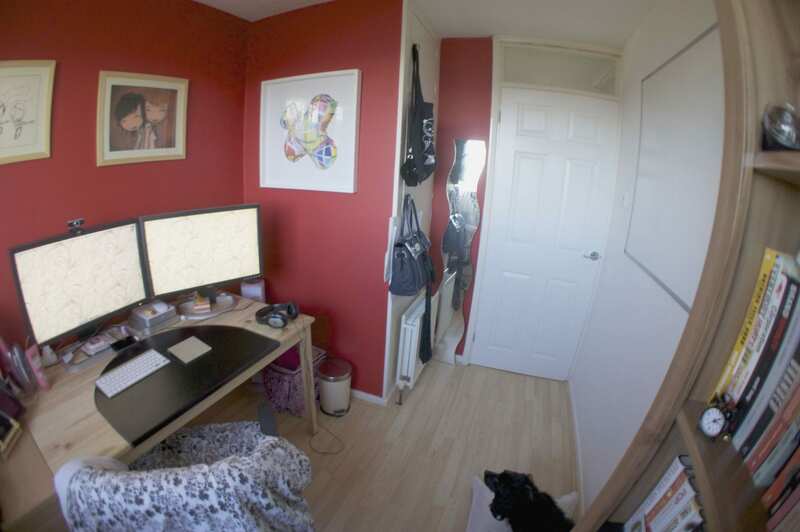 I quite like the red; I think it’s an inspiring colour – I hate nothing more than having to stare at a blank white wall above my desk! I seriously envy you for those two big screens! As much as I like the tiny Macbook, sometimes the screen is just too small! 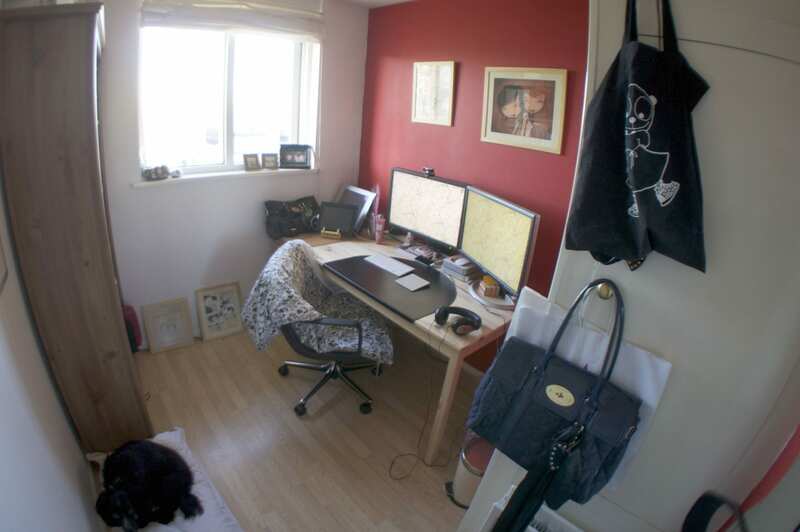 My ‘office’ is also my bed room – I’ve been meaning to do a post about my room ever since we renovated it last February (oops, so only a year late!) I might have to snap a few pictures this afternoon! Your so organised and neat! Oh wow! 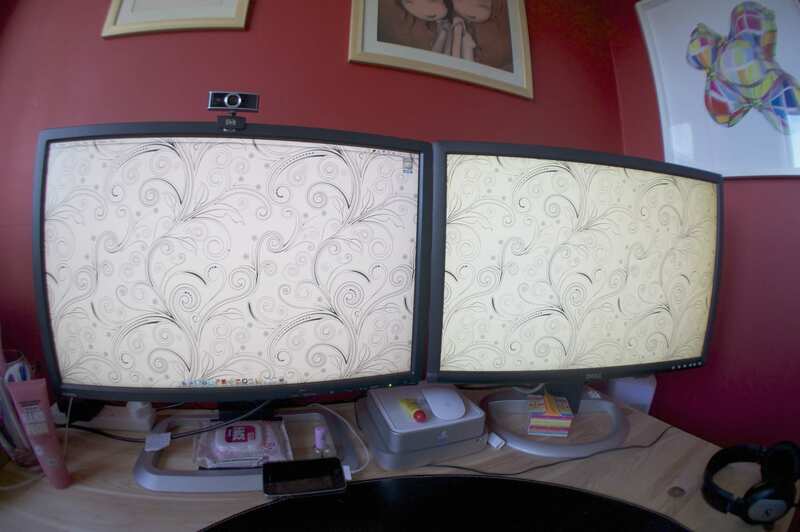 Your workspace looks amazing! It looks like the kind of workspace I hope to have when I’m older and have my own place! At the moment I have a room in a student house and I do my work in there as well as sleep in there and relax in there. I’d love to have a room that I could work in alone, it would make my bedroom separate and more relaxing!!! Where did you get those beautiful pictures from? And they are so well framed, did you have a professional do them?! I am loving the work area office thing, I only used my laptop and usually that is whilst watching tv so I don’t really need an office but yours is lovely! 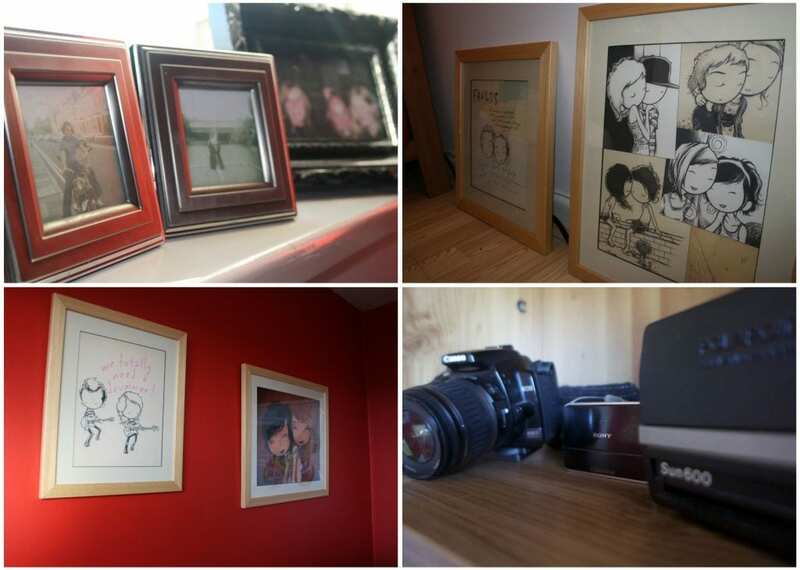 Love your room, especially the Kurt Halsey pictures – so cute! BUT WHERE AM I GOING TO SLEEP NOW. Lovely pics, with your super cool fish eye lens! You hipster, you. I don’t have an office, but I have a desk that is rather nook-like. It’ll do.